For a truly indulgent dessert, order the Shahi Balai tukda at Nawab Saheb. Our truly palatial lakeside Hotel offers something for every Mumbai visitor, whether you’re in the city for work or pleasure. Business travelers will find unparalleled service, modern amenities and a fully equipped business center as well as easy access to the nearby Mumbai Convention Centre. Guests can relax on the sun deck of our 12,500-square-foot executive lounge — the largest in India — or in our spectacular fan-shaped outdoor swimming pool. A fleet of cars is always available to whisk you away to the myriad local attractions nearby. And if you can’t decide, just ask our resident Navigator Anthony, a member of the Concierge Association of India, about his favorite spots and hidden gems. 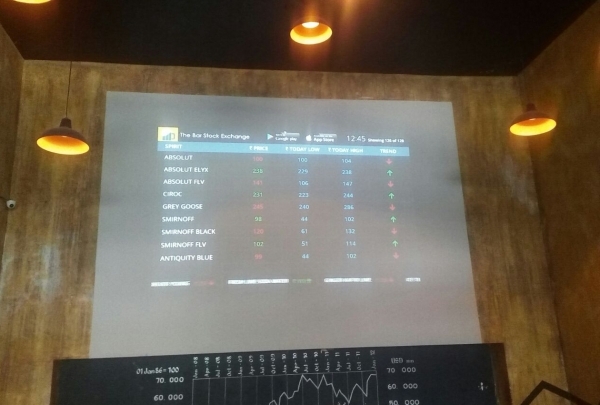 A creative concept bar where drink prices fluctuate just like a stock exchange. The ambiance here is nice with LCD televisions placed on the walls flashing the price of today's bar stocks. The music is always great and the chicken nachos are a must try. Maharashtrian coastal delicacies can't be savored in a better ambiance than at this celebrity haunt. The Prawn Pickle is sublime. Gajalee is one of the best seafood restaurants in Mumbai serving traditional Maharashtrian fare. 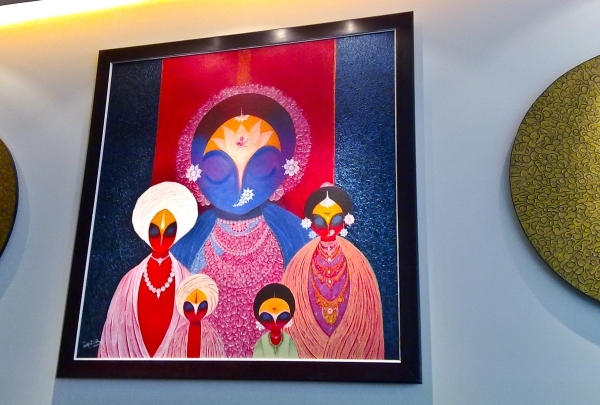 The decor of the restaurant is bright and spacious with beautiful Indian paintings adorning the walls. Their stellar menu attracts quite a fan following that includes several Bollywood and Indian television celebrities. A worthy meal while in the city. This is the only restaurant in Mumbai that encourages the use of sign language. This restaurant features contemporary, North Indian, South Indian, and Mughlai cuisine. It is operated by hearing and speech impaired waiters who are famous for their prompt service. 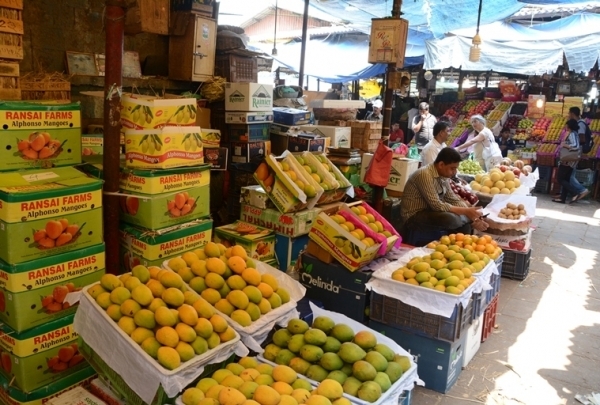 Visit this popular open-air market situated in South Mumbai. Colaba Causeway is an open market that sells artifacts, murals, pashmina shawls, beaded necklaces, bangles, and other souvenirs. 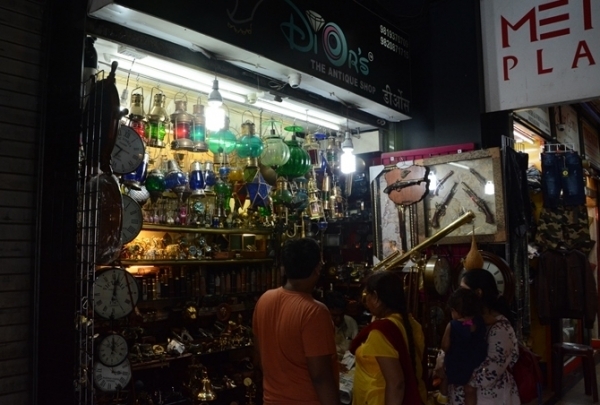 It is located in south Mumbai and draws crowds of locals and tourists alike hoping to snag a great deal. The diverse collection of items sold here will surprise you. Kheema and seekh kebabs are the famous dishes at this restaurant. 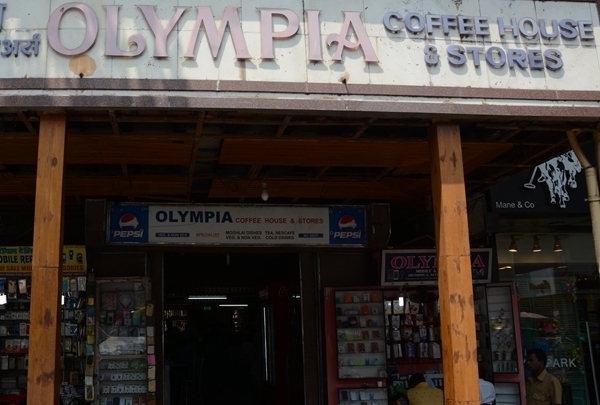 Olympia Coffee House is a wallet-friendly place. The decor is older, with wooden chairs and tables with marble tops, but this place is iconic. People are very fond of the chicken seekh kebab, chicken tikka masala, and chicken biryani. This Gothic Victorian landmark is the centerpiece of the city's train network, which was built in 1887. 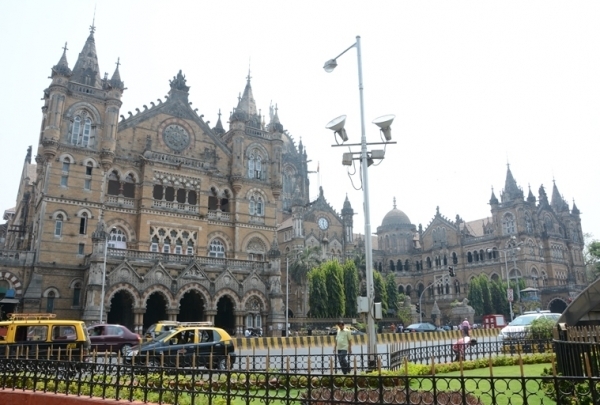 Built in 1887 CST is probably Mumbai's most magnificent monument. India's first stream engine started from this station and today 2.5 million commuters pass through here everyday. 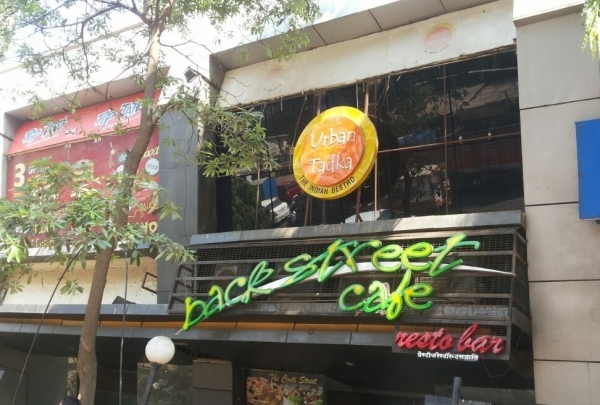 This place serves Chinese and North Indian cuisine and best mocktails in the city. Serving Chinese and North Indian cuisine, Appetite-Resto Bar is a restaurant where workers enjoy meals with their colleagues. The service is quick and they have a big television were you can watch your favorite sports. These rugs are made of animal hair and are imported from Kashmir and Nepal. Imported from Kashmir and Nepal, the rug business is the main source of income of Kashmiris and Nepalis. 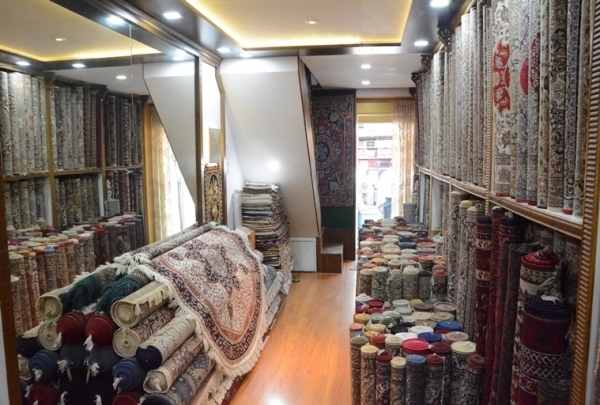 Rug stores are located behind Taj Hotel Colaba. These shops customize rugs according to the client's preferences and they have a large selection. 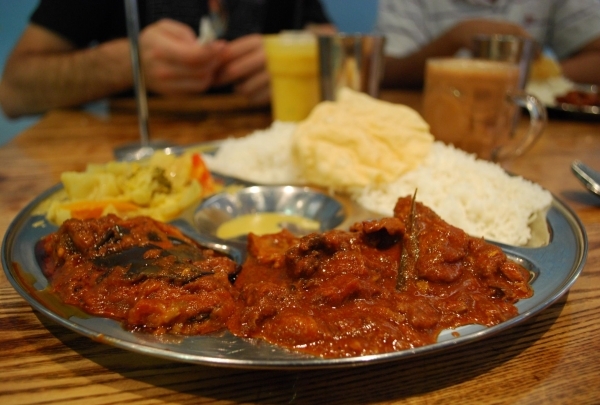 This restaurant has a great North Indian spread; their signature dish is the lalla mussa dal. The staff here is well trained and mannered, as they welcome each guest with "namaste." 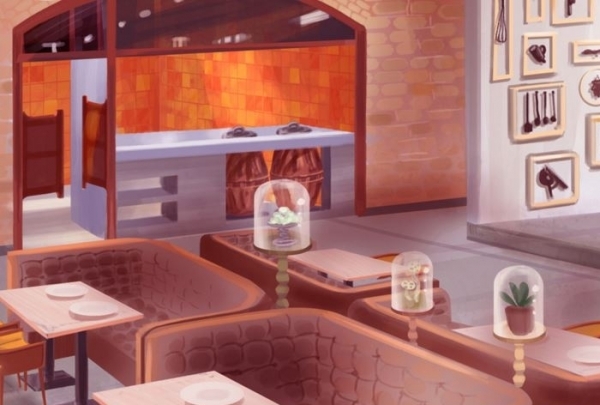 The decor is quite decent and casual. They serve northwest frontier cuisine; try their signature dishes which are highlighted on their menu board. 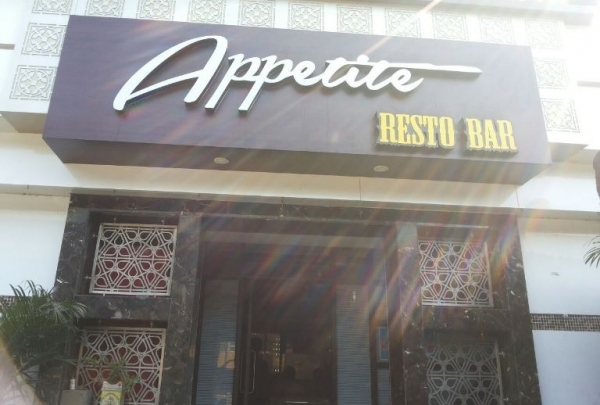 This restaurant serves a buffet lunch on weekdays and in the evening serves non-vegetarian tandoor items. 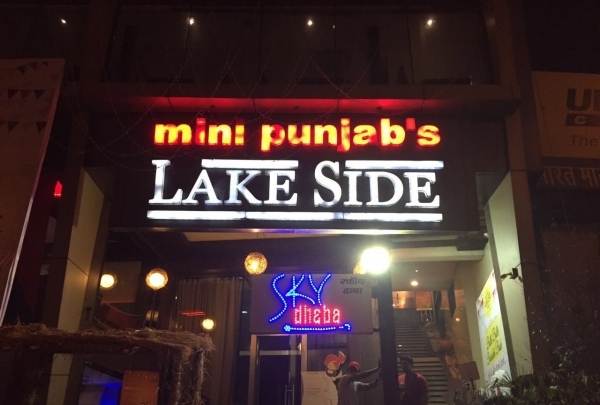 Mini Punjab is a very popular fine dining restaurant among locals in Powai. The cuisine they serve ranges from curries to tandoor and even Chinese dishes. Their open lawn is ideal for socializing and corporate events. This monument was built in 1924 at the time of British rule. Today it is a hot spot for all tourists who visit Mumbai. This monument, once built to welcome King George, stands facing the majestic Arabian Sea. You will find a lot of tourists taking photos in front of the monument at all times. There are a lot of refreshment stalls in the area selling local snacks that are ideal for satiating your taste buds and hunger. 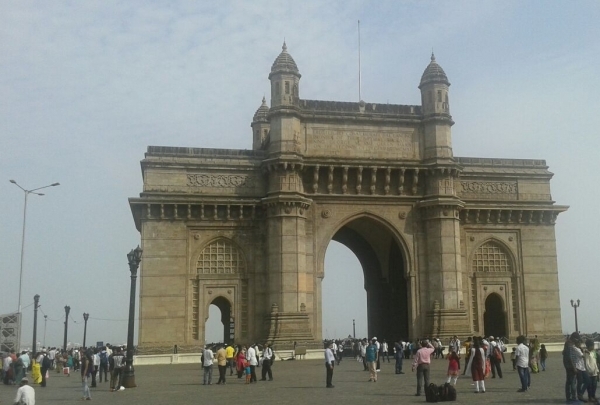 One of the major attractions in Mumbai, this historic gem is a must-visit. Seafood lovers should try the delicious special BBQ garlic crab with butter naan. 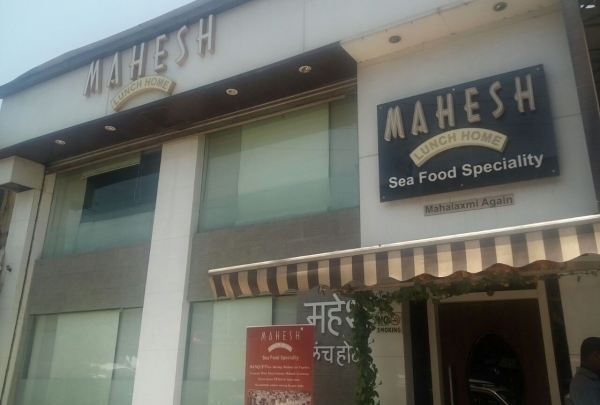 Mahesh Lunch Home is a local chain restaurant that serves the fresh catch of the day including fish, crab, lobster, and prawns marinated in Mangalorean-style masala. This is the place to be if you want to relish South-Indian style seafood without having to shell out too much. Apart from seafood, they serve a wide range of poultry and vegetarian dishes as well. This museum has a huge collection of Mahatma Gandhi pictures along with his spinning hand wheel. 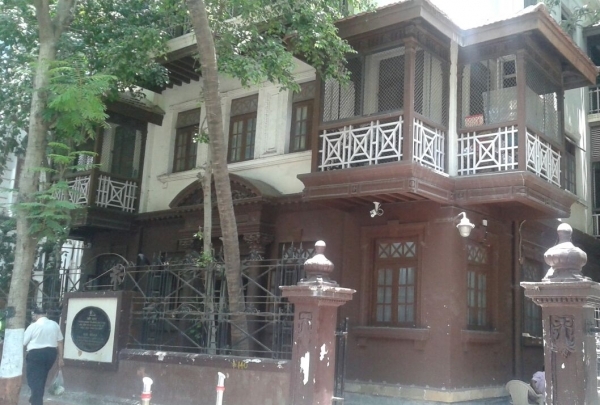 Mani Bhavan is non-violence leader and father of the nation Mahatma Gandhi 's house. With his leadership India became an independent nation, and today we celebrate his birthday every October 2nd and mourn his death on January 30, both of which are national holidays. 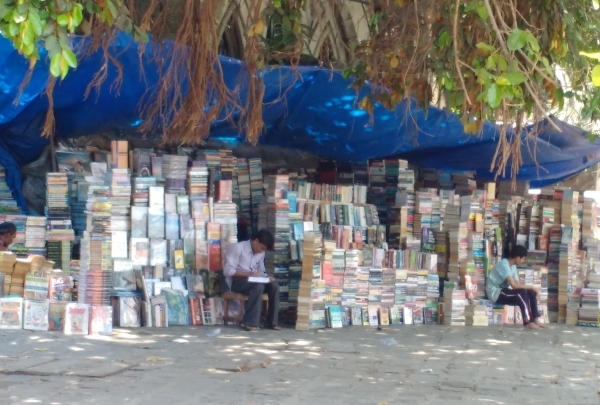 This book market offers a wide variety of the cheapest books in town. This book hub sells both new and used books at a discounted price. Their collection includes novels, educational books, coffee table books and more. Customers can also borrow books as they would at a library. 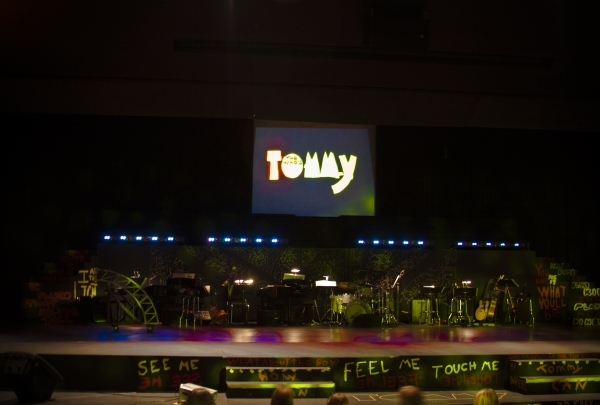 A stage for new artists, this theater plays host to more than 400 plays each year. 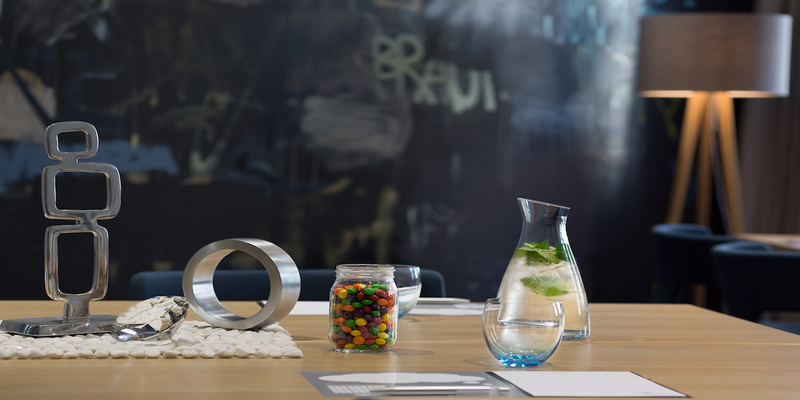 It gives a vivid view of the city's creativity. Prithvi Theatre, started by the late actor Prithviraj Kapoor, is the venue for theatrical performances with social themes. Four generations of the Kapoor family have contributed in a big way to the Hindi film world as actors, producers and directors, and the theater has played a huge role in reviving regional, especially Hindi plays. Theater and film festivals, retrospectives, discussions and book readings are constantly organized in this charming complex. This one serves spicy cuisine from Kolhapur region. You must try the pandhra and tambda rassa (curries). Caution! Keep drinking water handy. Purepur Kolhapur derives its name from the cuisine it serves. A fabulous spread of Kolhapuri delicacies, cooked in the most authentic way, is a sheer delight for your taste buds. The stars of its menu are the chicken and mutton preparations that find mention in elite food lists across the city. Gorge on Tambda Rassa and Pandhara Rassa, two of the most sought-after non-veg items on the platter. Besides its fair share of chicken, mutton and lamb, Purepur Kolhapur has plenty of options for rice, roti, and snack eaters as well. In the busy by-lanes of Vile Parle, Purepur Kolhapur is perfect for one who's looking out for traditional Indian food. Call ahead for more information. Try the authentic Muglai cuisine at this restaurant. 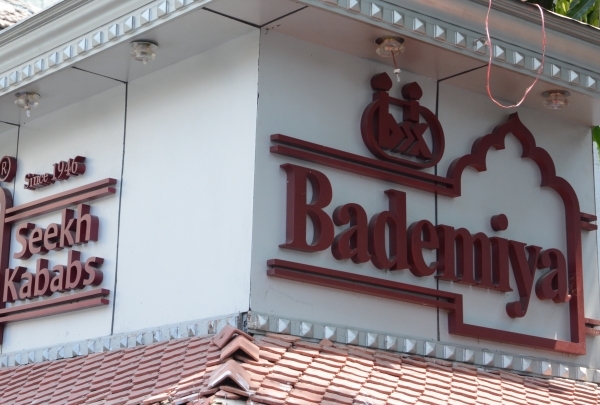 Serving authentic Mughlai cuisine, be sure to try the chicken biryani and the mutton bhuna at BadeMiya. The masala recipe here is still a family secret, though many have tried to obtain the recipe over the years. Since 1871, this cafe has served Indian, European, and Chinese delicacies. 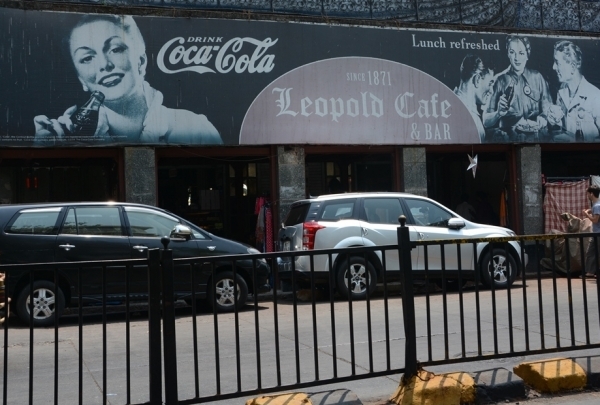 Leopold Cafe opened in 1871 and since then has had one of the best menus for meals and wine in Mumbai. They serve Chinese, European and Indian food. 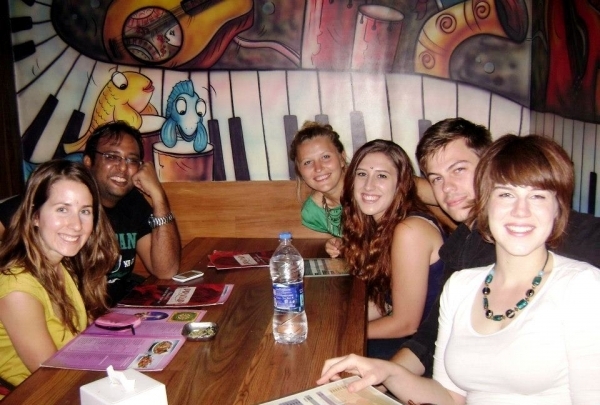 Many expats visit the restaurant. They serve beer in pitchers with an accompaniment of delicious chips. An Indian vegetarian restaurant selling pani puri, aloo tikki and falooda. 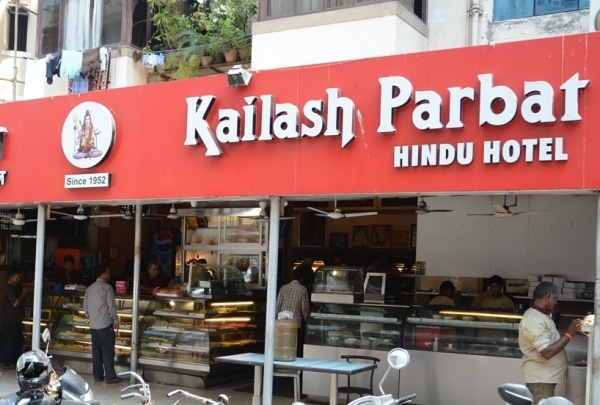 Kailash Parbat Hindu Hotel serves authentic Punjabi food and Mumbai chaat at reasonable prices. The owners, the Mulchandani family, migrated from Pakistan during the partition and started a business selling pani puri, aloo tikki and falooda in South Mumbai. This is a favorite place for youngsters, college students and families. Known for a range of juices and shakes. 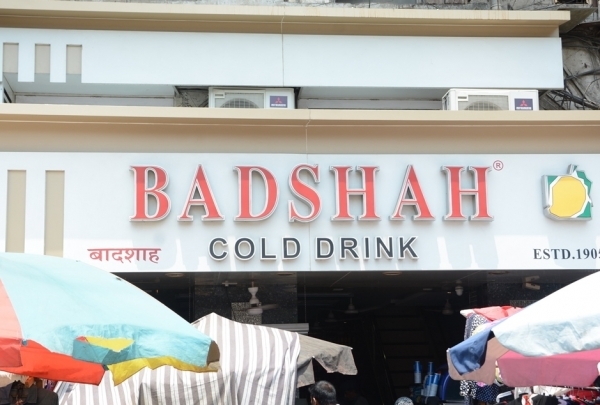 Badshah Cold Drink serves South Indian fast food, street food, beverages, desserts, and ice cream. Recommended dishes include the royal falooda and the special pav bhaji. This market sells a variety of high quality perfumes that have been made here for more than 5000 years. 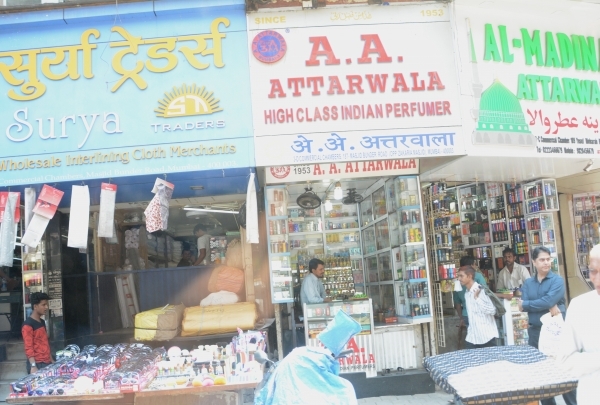 Ittar Market is located in Crawford Market in South Mumbai. They sell pure and high quality perfumes free from alcohol and chemicals. All types of imitation jewelry are available here at fair prices. 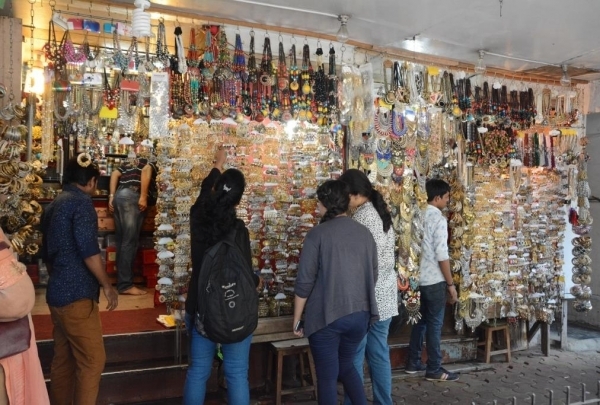 At this shop located in Crawford Market, shoppers will find a variety of jewelry made from Nassarius shells, feathers and other decorative items. The shop is known for its fair prices that certainly won't break the bank. 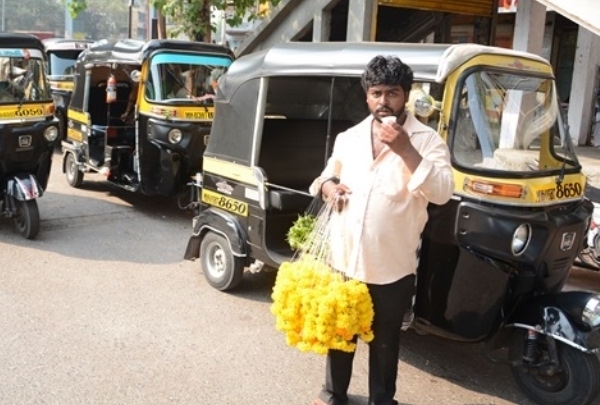 Rickshaws are the cheapest and a quickest mode of transport for locals in the suburbs. Rickshaws (TUKTUK) are a very famous mode of transportation in India. They have three seats, and tourists enjoy the ride - some have even purchased one and exported it to their country. Be warned that this vehicle doesn't have any seat belts for safety. This dock is the oldest in the city. 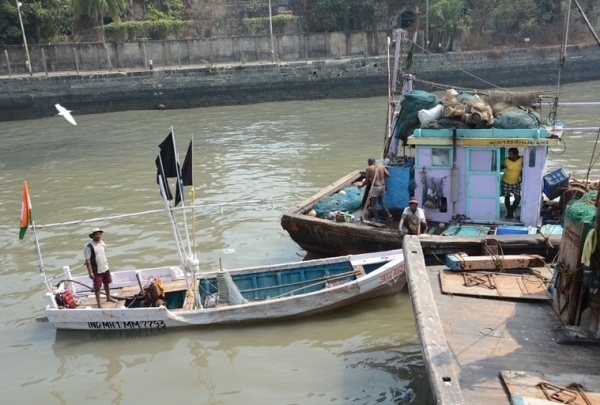 Early in the morning you will find boats lined up auctioning off their fresh catch. This place is a must-visit for tourists. Daily in the early morning you will find this place crowded, with the boats lined up in one corner of the dock and their fresh fish being auctioned off by the boat owners. All the buyers are from the local markets and restaurants. 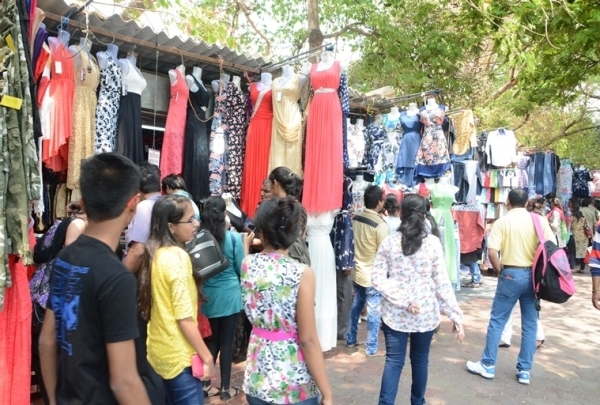 Fashion Street is a market that features local brands sold in more than 150 shops. Fashion Street is a large local market where you will find locals and Bollywood stars shopping for hot fashion items. During any festival in Mumbai, locals head to this market to shop and buy presents. You can find clothes for all types of weather here. A bustling market situated in South Mumbai named after the first Municipal Commissioner of the city. Crawford Market has been one of the busiest markets in Mumbai since the British era. Here, you will find everything from spices and pet-stores to street food joints and fruit shop. The narrow lanes at Crawford Market are bustling with shoppers, both local and foreign at all times. Be sure to stop by this vibrant market while in South Mumbai. Indian curries are full of spices cultivated in India. Indian curries are full of spices and have been for generations. 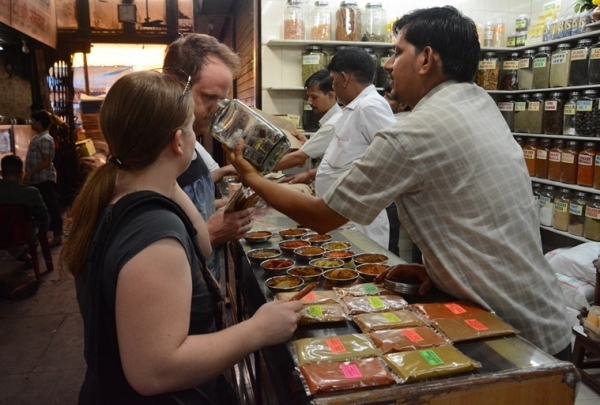 Locals bring raw masala home and create a mixture for different cuisines. Here the spices are hand ground in a stone bowl, packed in a plastic pouch, and sold. 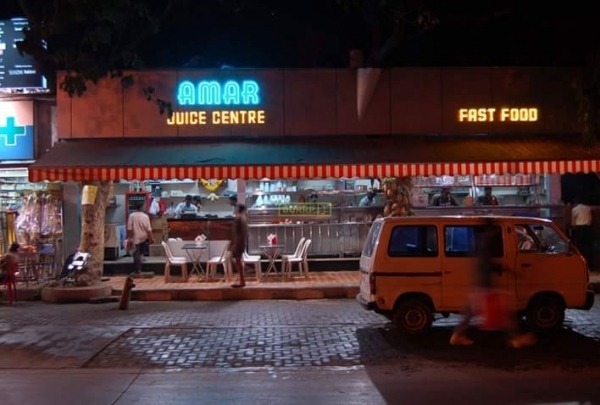 This is typical Mumbai style street food joint, local enjoy their evening having tastiest pav bhaji with their cold beverages, this is one of the top most snack center located at Vile parle west it also serves varieties of south Indian snacks. 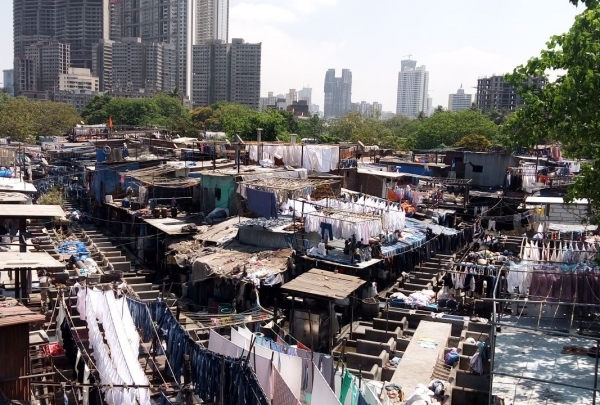 As seen in Slumdog Millionaire. 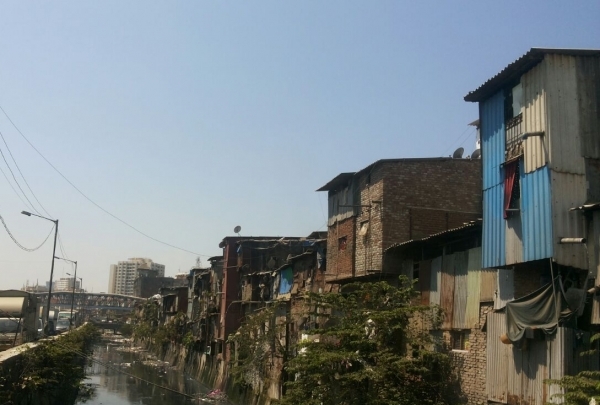 A large community of people live in the Dharavi Slum, which is the largest slum in the world. It has very narrow lanes to walk down. Tourists enjoy exploring this place because the famous movie Slumdog Millionaire was filmed here. Mumbai is is one of the best places to watch the sunset in the world. In Mumbai you can watch the sunset from Marine Drive, Haji Ali, Juhu Beach, Dadar Chowpatty, and Marve Beach, as all these places overlook the Arabian Sea. This restaurant serves pure mouth-watering Indian-style cuisine. 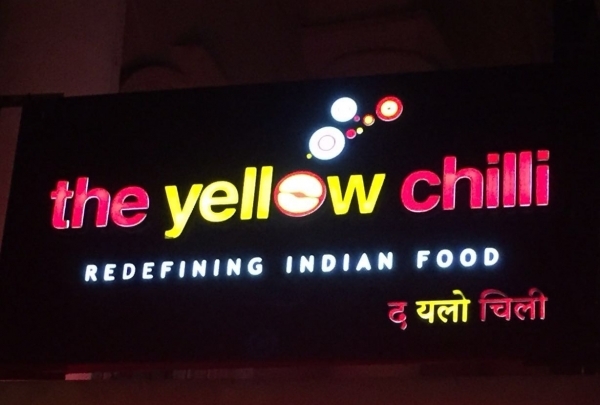 This restaurant serves typical Indian-style food. The ambiance here is dimly lit, but all the tables have small candles. They serve some of the best Punjabi cuisine around; try the chatpata chicken with sarso ka saag and makke ki roti. 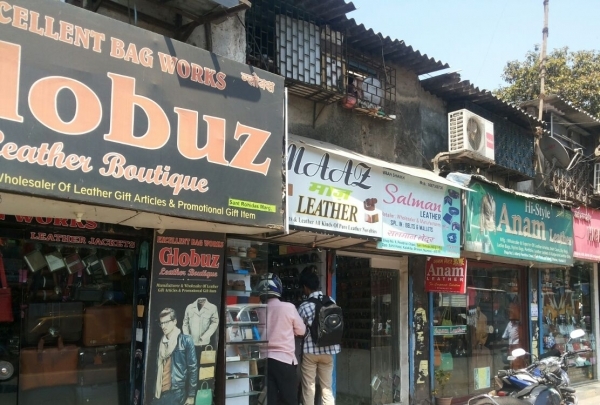 Bollywood is the main attraction of Mumbai city,the glamorous city is always with full of entertainments and excitements, when you get a chance to visit the studios do catch up with your favorite actor and actress at the bollywood studios, Bollywood tour is organised by the bollywood tour agent. This vegetarian restaurant serves Chinese, Thai, Mexican, and Italian cuisine. 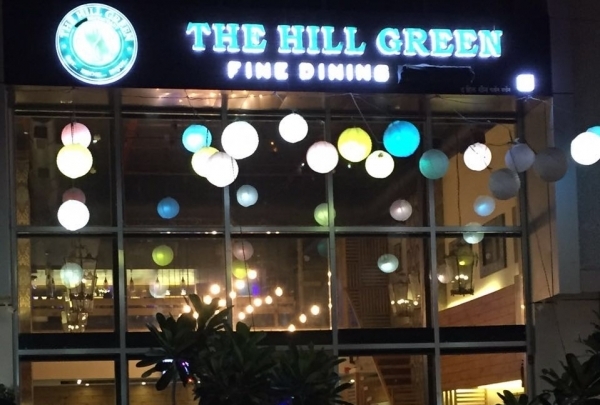 The recently opened Hill Green serves pure vegetarian cuisine. It has two adjoining areas on the ground floor to dine in. 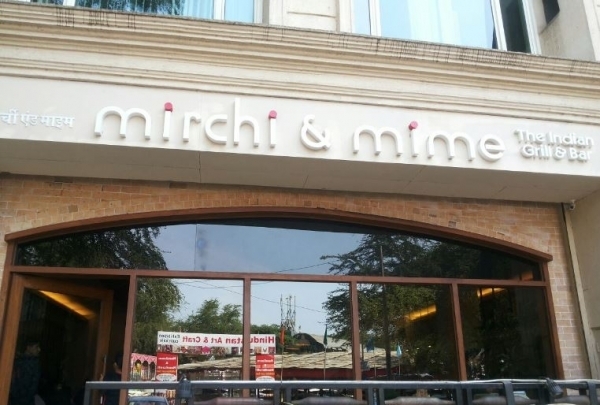 Try their chachu potato (potatoes cooked in a Chinese-style and spicy) and paneer malai kebab; both are mouth-watering. This place serves the best grilled dishes you ever had, from the fresh catch of the day to tender meats. 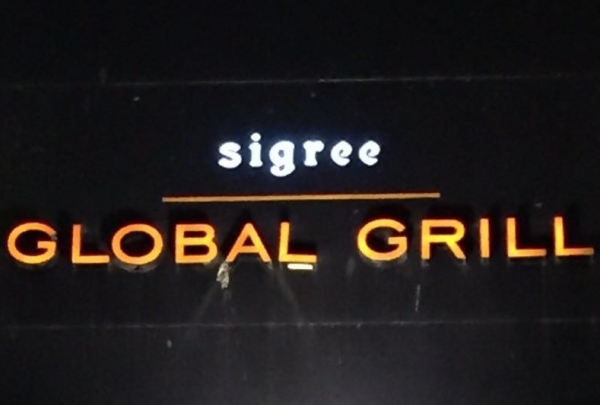 Sigree Global Grill is the best choice for anyone who loves grilled meat. This place serves North Indian, Turkish, Lebanese, and Greek dishes, and they have the best spread for their lunch buffet. In the evening they serve their meat dishes, with each cooked on a tabletop grill. Their mutton chettinad biryani is a must try! 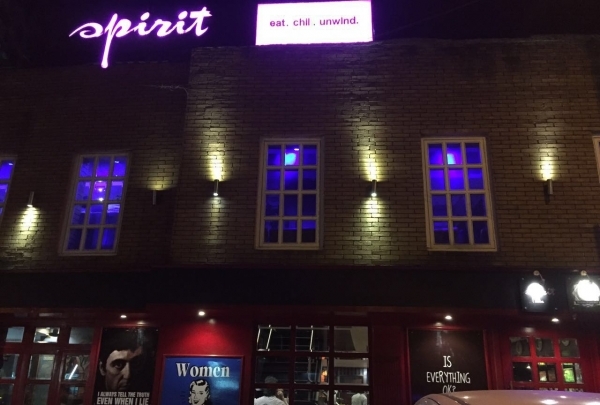 Perfect place to enjoy food and cocktails while watching live IPL cricket matches in a festive atmosphere. Spirit Restaurant and Bar is very spacious. It has a beautiful decor, with movie posters on the walls that perfectly match the blue colored chairs and sofas. It has two levels, with giant televisions on both. It is a nice place to spend an evening with friends. Be sure to try their dahi kebab. Serves Indian, Chinese, Halal meat and seafood dishes. The staff is extremely friendly. This place is good for families. 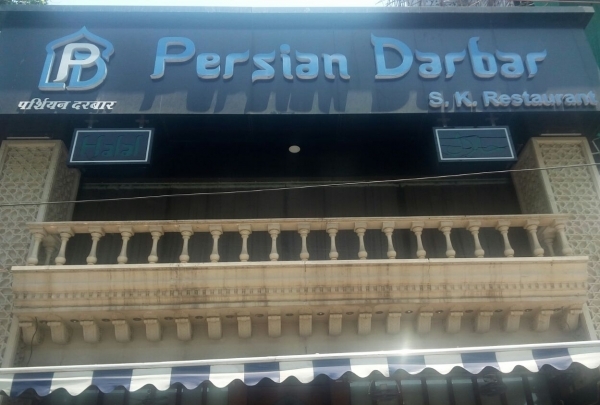 They specialize in biryani; their Persian special chicken and mutton biryanis are an absolute favorite. The quantity of food served here is very high. This place is recommended for their service with a pleasant ambiance. They serve great kababs. 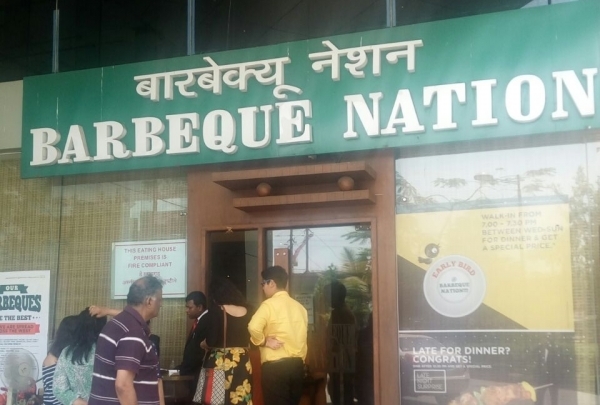 Barbeque Nation is a good place to take friends out for a meal. Here meat-lovers will enjoy the barbeque, as it is marinated with different types of sauces and Indian spices. Serves delicious and reasonably priced North Indian cuisine. 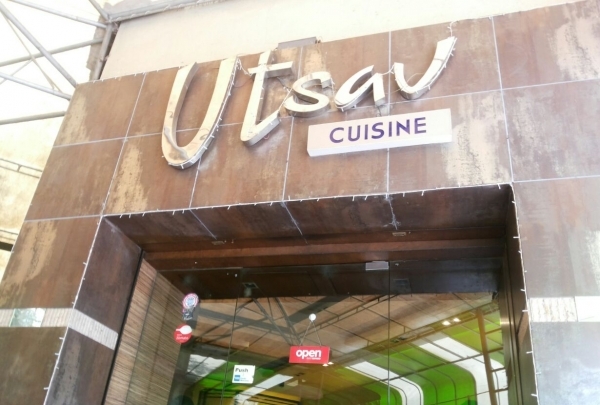 Utsav is a good place to dine with family & friends. 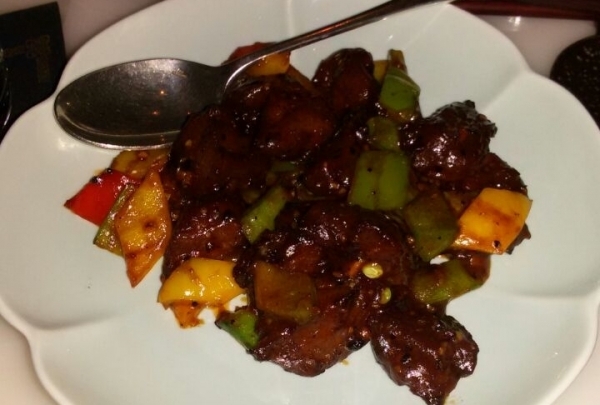 The restaurant has a nice ambiance, amazing hospitality, and the food is of excellent quality. This restaurant serves the best fresh juice, shakes, and vegetarian pizzas in Mumbai. 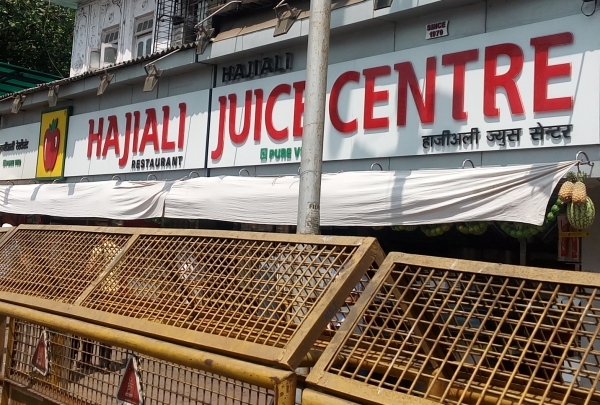 The famous Haji Ali Juice Centre has lots of options to dine on, from fresh juices and milkshakes to vegetarian pizzas and veggie burgers and sandwiches that are available from 10am until midnight. 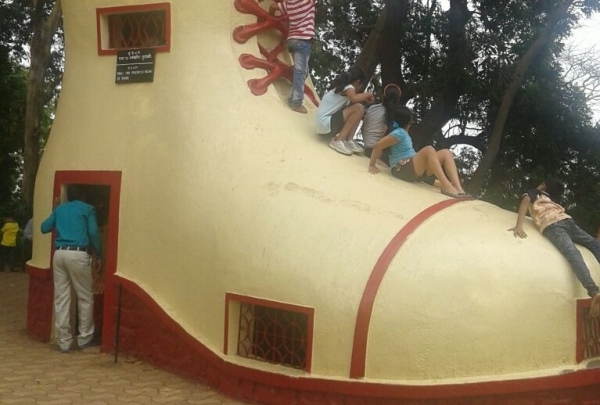 Children can take a ride down the slide in this huge old lady's boot. This park in South Mumbai overlooks the Arabian Sea. It is filled with very interesting animal-shaped hedges and topiaries and is a great place to see the sunset. 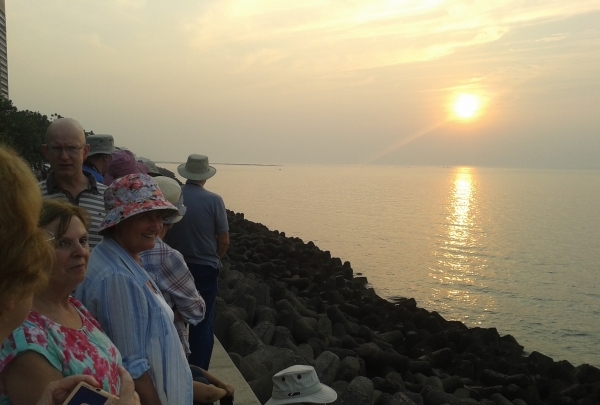 Children enjoy the rides and seniors enjoy their morning walks where they can watch the colorful birds singing. This is a popular Muslim mosque with Mughal architecture on the Arabian Sea. This mosque was built in remembrance of Pir Haji Ali Shah Bukhari. Here you will find thousands visiting and worshipping. Be sure to see the painted glass ceilings inside. 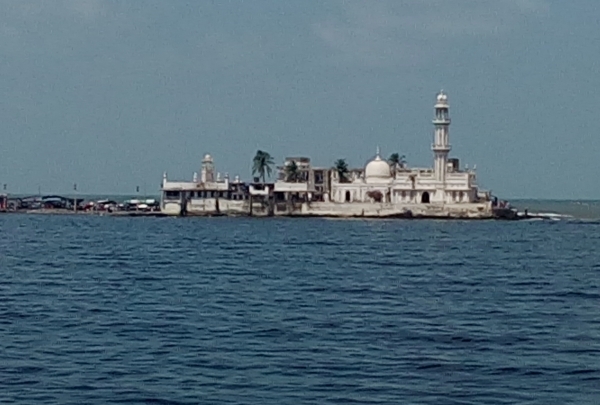 Haji Ali Mosque is a must visit in Mumbai. Here modern art is both showcased and sold. 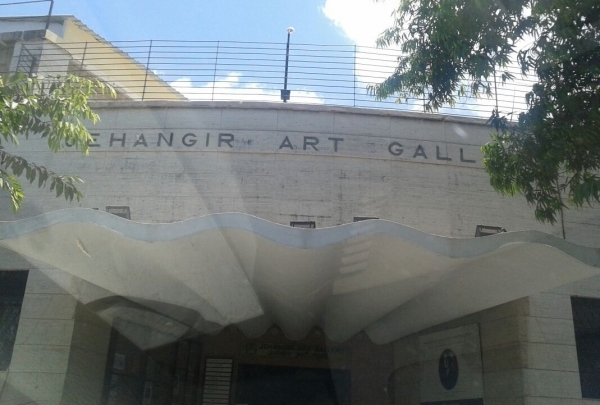 If you are a art lover then Jahangir Art Gallery is a must visit. Here you will not only find the best modern art work displayed, but you can even purchase some of it as well. You often see lots of artists present in the auditorium explaining their work and talking about the materials that they used. There are also some artists who can sketch your image on the spot and sell it to you. This museum has a huge collection including ancient Indian stone sculptures and historic currency. 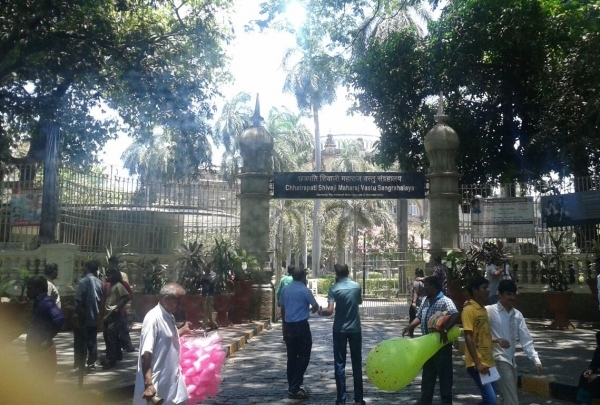 Chatrapati Shivaji Musuem is the biggest museum in Mumbai and a must visit if you really want to know the history of the area. It features a large collection of stone sculptures by ancient cultures from different regions. If you are not carrying your ID you will need to deposit INR 1000/ with security, and when you finish your tour you can get your money refunded. This is a huge open laundromat with 100 concrete wash tubs that has been used for generations. Here locals practice a very old and traditional way of washing clothes. Many Bollywood movies have been shot here. Washing starts early in the morning, which is the best time to watch. This item is used during festivals and for cooking food during religious festivals. 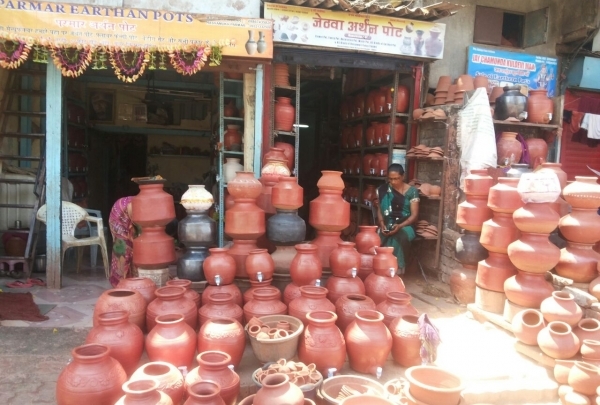 This business showcases traditional mud pots that are made by members of this community. These pots are often decorated with color paintings and glass beads. At this market, vendors sell custom-made products using quality leather. This market is located in the slums of Dharavi. Here you can show a picture of a handbag, jacket, or any leather product to the vendors and they will create a replica for you that is so well-made, that it will be tough to tell the copy from the original! This place serves authentic Asian cuisine in a very pleasant and inviting environment. Hakkasan Mumbai serves authentic Asian dishes, including king prawns and pork belly. The food here is so delicious it is worth every penny. The service is very prompt and quick. This restaurant serves up delicious meat dishes in a family-friendly atmosphere. 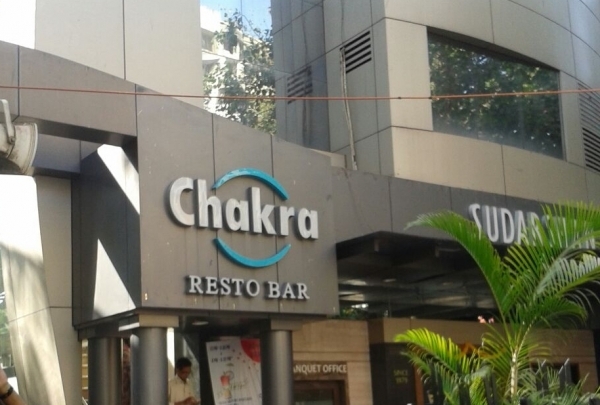 Chakra Restaurant & Bar is the perfect spot for a large family with a lot of different preferences. Even the pickiest member of your family will find something they love thanks to the many meat and seafood dishes on the menu. Be sure to try the Lali kebabs and farmer soup.